This guide will show you how to create an SSH tunnel. 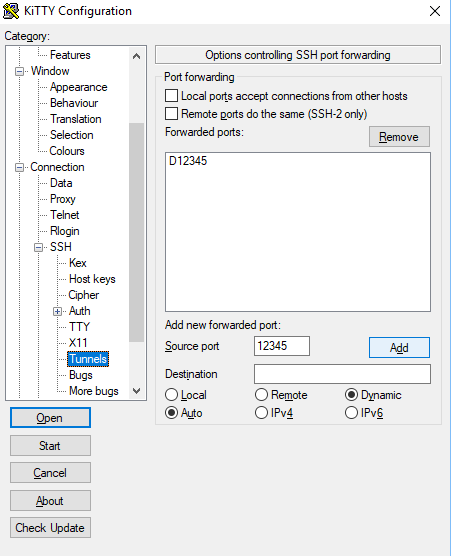 Unlike using OpenVPN which encrypts all network traffic at the driver level for that device, creating SSH tunnels enables you to route traffic for selected applications only. Preventing a lot of problems for casual usage, such as using an imap application such as Thunderbird or using Personal websites like Paypal. It might be a good idea to create a new SSH session specifically for the tunnel. Once you have a session you wish to create a tunnel for, navigate to the Tunnels section. Look for Connection, expand the SSH options and select Tunnels. Select Dynamic and enter a port number in the field Source port. The picture below uses 12345, but you can select any open port on your machine. Select Dynamic, enter your details and then click Add. Once configured you can go back to Session and select Save. To use the tunnel you'll need to configure software to use it. This is done, in brief, by adding the tunnel's details in the software's proxy settings. The following sections look at specific software. 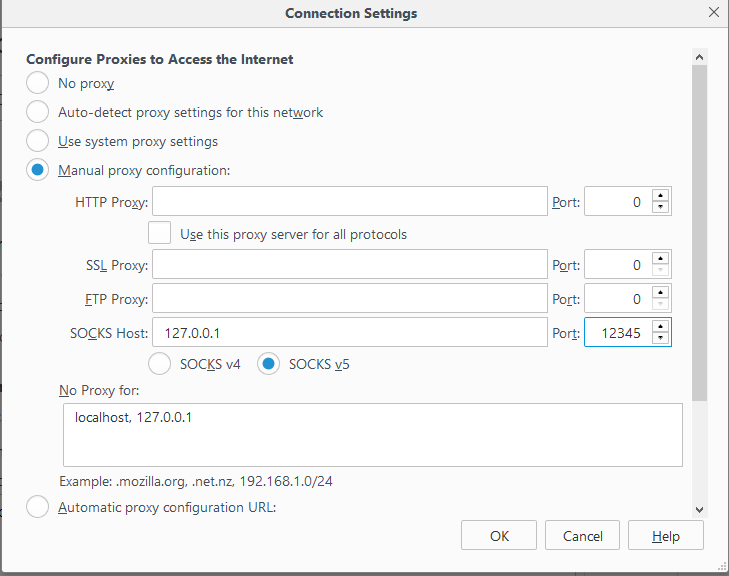 Open your proxy settings by copying and pasting about:preferences#advanced in the address bar and clicking on Network. Then, click on Settings... to configure how Firefox connects to the Internet. In the settings above, replace 12345 with the tunnel port number you have selected. It may also affect other software like Steam. If you change the settings below and later (i.e. 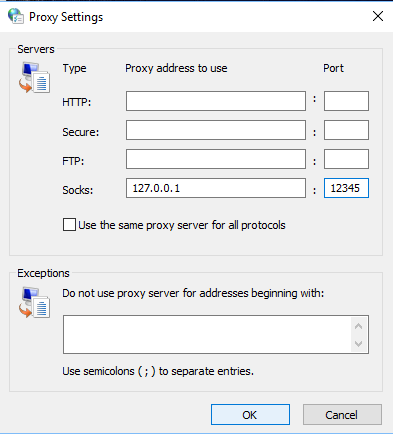 after Tunnel use) get weird connection errors, please double-check your proxy settings.